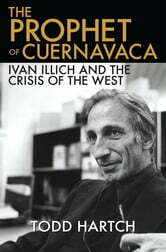 Catholic priest and radical social critic Ivan Illich is best known for books like Deschooling Society and Medical Nemesis that skewered the dominant institutions of the West in the 1970s. Although commissioned in 1961 by American bishops to run a missionary training center in Cuernavaca, Mexico, Illich emerged as one of the major critics of the missionary movement. As he became a more controversial figure, his center evolved into CIDOC (Centro Intercultural de Documentación), an informal university that attracted a diverse group of intellectuals and seekers from around the world. They came to Illich's center to learn Spanish, to attend seminars, and to sit at the feet of Illich, whose relentless criticism of the Catholic Church and modern Western culture resonated with the revolutionary spirit of the times. His 1967 article, "The Seamy Side of Charity," a harsh attack on the American missionary effort in Latin America, and other criticisms of the Church led to a trial at the Vatican in 1968, after which he left the priesthood. Illich's writings struck at the foundations of western society, and envisioned utopian transformations in the realms of education, transportation, medicine, and economics. He was an inspiration to a generation of liberation theologians and other left-wing intellectuals. In The Prophet of Cuernavaca Todd Hartch traces the development of Illich's ideas from his work as a priest through his later secular period, offering one of the first book-length historical treatments of his thought in English.